Lagos is a marketplace, bigger and more exciting than the open-air Samarkand bazaar immortalized by Wole Soyinka in his most recent collection of poems. Samarkand might offer the ‘bric a brac’ and an electrifying wedlock of philosophers and poets, but Lagos’ most marketable offerings are its stories. Its prime position on the list of the world’s mega-cities might account for this. Partly. But then, why bother about the origins of a story when the story itself is there in front of you, swaggering, taunting; daring you to produce one that can trump it. Enter Teju Cole, and his swashbuckling theory of Thieves, Owners, and Ownership, as outlined in his debut novel, Every Day is For the Thief. The phrase itself is the first half of a Yoruba proverb, ojo gbogbo ni tole, ojo kan ni ti olohun – Everyday (is) for the thief, one day (is) for the owner. It is ‘the’ story of Lagos, I deliberately say ‘the’ and not ‘a’ because when you reach the final full-stop in the novel, you get the feeling that you have just crossed the line directly next (in intensity) to actually experiencing the city. Forget that it is a slim novel; it is not the size of the barrel that matters but how full it is. Everyday is for the thief. Thieves abound in Lagos, and in this book. Every minute, every page is for the thief – the pickpocket, the dubious petrol station attendant, the murderous armed robber, the compact disc pirate, the hostage-taking area boy, the bribe-taking police, customs and embassy officers, the thieving politician whose actions and inactions account for power failures and fuel scarcities. All of the above are part of the cast of Cole’s story, narrated by a young man who has returned to Nigeria (and more specifically, Lagos), for the first time in many years, on a visit. It is – to use the hackneyed phrase – a trip down memory lane, the “down” especially apt because coming from New York to Lagos is a literal descent into chaos, into the Hobbesian jungle. The narrator is a thinly disguised version of the novelist, a fictional creation who plagiarizes a real one. This return to Lagos is therefore a killing of two birds with one stone (more accurately resurrecting two birds with one breath of inspiration); one person travels to Lagos, but two return, the writer and the narrator. This, you should know by now, is something Lagos is highly experienced at accomplishing. One person comes in, and a different one emerges. Four dreams go in, and none return. The author’s note, which seems unnecessary because of the fact that it appears as a ‘snapshot’ of author and narrator side by side, smiling – albeit disowning each other. Cole is adamant in that “he (the narrator) and I are not the same person.” But it is because he has somehow hinted of the fact that there might be two of them that he now has to convince readers that each one is an independent existence. We would have been quite happy on our own to merge and separate the two personas as our imaginations please. 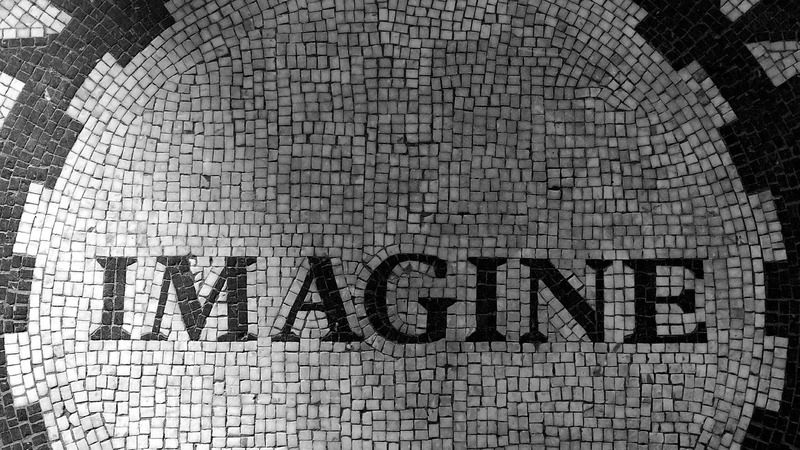 This is a book of images, beyond the many that the narrator sketches (in near-filmic detail) through his words, there are also photographic ones as well, miniature renderings of grainy black and white shots captured by the narrator (or the author? ), and scattered like chunks of poetry across the pages. They are images of Lagos – of hawkers, headgear, fruits, rusted rooftops, ships, cops, etc, the kind of residue that would result from a ‘destructive distillation’ of a city like Lagos, were it possible to take it as a chemical compound. It is as though the narrator realized, whilst telling his story, that attempting to capture the ‘idea’ of Lagos would be like trying to use the bare hands to demonstrate to an audience the kind of fireworks display that accompanied the recent Beijing Olympics. Imagine the sense of crushing inadequacy that would accompany such an attempt. Cole is therefore one of the more honest chroniclers of Lagos; the inclusion of the photos is an admission – even if merely symbolic – of the fact that words are pitifully inadequate in capturing a happening city like Lagos. Perhaps one day we would find even more honest persons who’d be willing to accompany their verbal offerings with DVDs tucked into a flap on the inside back covers of their books. The journey begins in New York, at the Nigerian Embassy in that city, where we quickly – and agonizingly – realize that the famed ‘Nigerian mentality’, like the Nigerian citizen, also possesses a ‘passport’ that allows it to travel abroad and exhibit itself. So that it would be seen at work the way a band of Nigerians would, for example, be seen – or heard – unashamedly conversing in loud voices in their native language in the cramped aisles of a suburban American grocery store. America and its arrogant ideals of justice and equality halt at the door of the Embassy, and Nigeria (re)asserts itself – extorted cash becomes the final arbiter on rendered service, just as it would be back home – as the embassy officials take bribes to ‘expedite’ passport processing. It is from New York therefore that the ‘descent’ begins; the descent of the plane onto the tarmac in Lagos is an indication not of a commencement but merely an attainment of another ‘degree’ of descent. Another interesting thing is that in its slide-show of iconic Nigerian image after image, Every Day is for The Thief draws from the same ‘pool’ that Nollywood draws from, and follows the same mode of sequence – a flow or juxtaposition of ‘wholly Nigerian’ images that combine to attempt to tell a story. We have heard of the word made flesh, Every Day is the film made word (text). The difference that in the case of Cole’s novel, between the time it draws from that pool and presents it to us, something has happened to it, stripped it of banality and melodrama, and given it the kind of ponderous sheen that a novel deserves. It is Mrs. Adelaja, the triumphant widow, and the other subversions like her in the story, that thus set it apart. So much for thieves then, the mind soon seeks to know who the “owner” is. And not only do you want to know this owner, you want to know if s/he or they will be getting the promised day in the sun soon. Eventually you are forced to assume that the owner is none other than the narrator himself. He it is who is set apart from the thieves; who expresses shock, disgust, alarm, disappointment – and sometimes amusement – at their antics. Alas, after the thieves have had their fill in the spotlights, their fifteen hours of fame, there is no karmic justice to swing down and shame them. The owner sees them, watches them at ‘work’, shakes his head at their impudence, and then returns home – to New York. 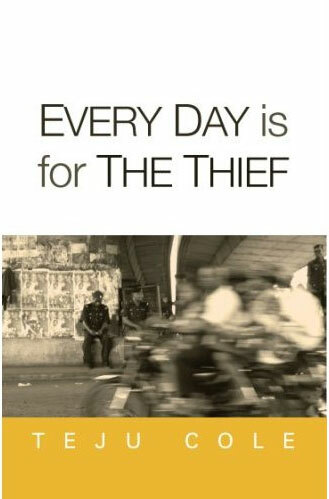 Every Day is for The Thief is a physical, as well as a psychic journey, bringing the narrator face to face with a past that he left behind, frozen in time in Nigeria when he left. It is evidently a past he did not take along to New York, so that now that he is back he has to face it, stand up to it and reclaim it. This is not an easy task; “the past continues to gather around like floodwater,” he tells us. At one point he informs us of his decision not to look up old friends, only to later speak of “various reunions with friends and family”. The struggle between memory and forgetting doesn’t let up easily. It is the story of this struggle, part narration, part meditation, that Cole tells us in prose that is at once precise and haunting, even long after the final word. i was born on the 3rd of march 1982 in edinburgh, scotland. i came to nigeria in september 1983 and I've been here EVER SINCE. i attended st bernadettes private school, abeokuta, nigeria from 1984 to 1990. then i went to the international school, university of ibadan, ibadan, nigeria from 1991 to 1997. i'm a final year pharmacy student of university of ibadan, nigeria. my poetry has been published in The Guardian (Nigeria) and also on storymania.com. i hope to write bestsellers in fiction and non fiction, maybe win a Nobel, a Booker, a Caine (well, not exactly in that order). This review is a great job but there is room for improvement. boy, what have u gone to do in pharmacy? just kidding… am a lit-in-Eng student of d ‘Greatest Ife’. it’s apparent u know d subject matter; well done. dont mind Teju, with this ‘he’ narrator………maybe Teju is a lady.